Friday: I met up with a friend for some drinks. We were supposed to see the movie DUFF at 7:20, but instead we ended up having too many said drinks and missed the movie. After a few more drinks, we came up with the genius idea to go bowling instead. Anyone else with me- Or is that just the paranoia in me? 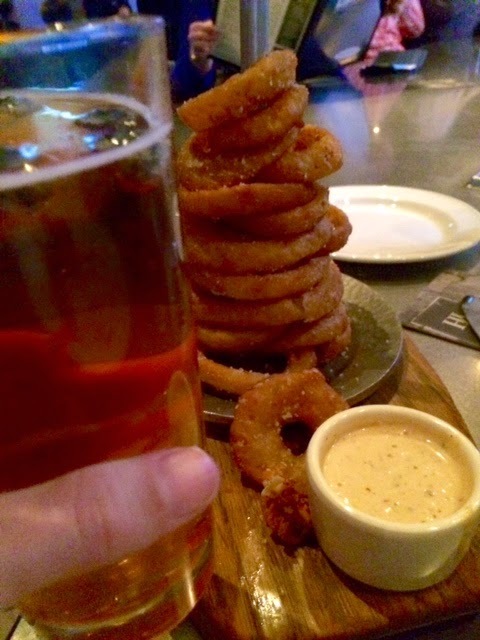 Saturday: Steve and I went out to a local restaurant for Dinner and I naturally had to order this delicious fat free onion ring tower. Sunday: We headed to see our Niece and Nephew and actually went outside and played in the snow with them for a few hours. 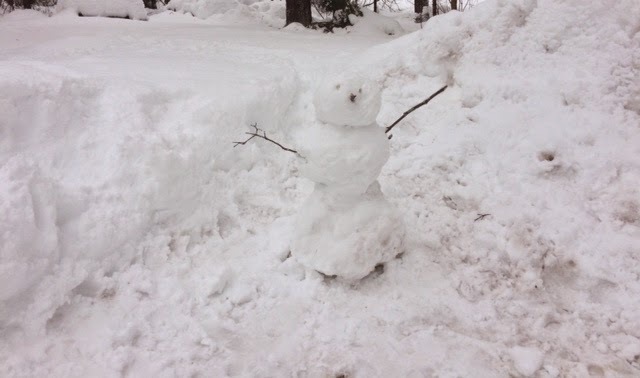 Did you know that you can burn up to 300 calories per hour building a Snowman? Do you want to build a Snowman NOW? 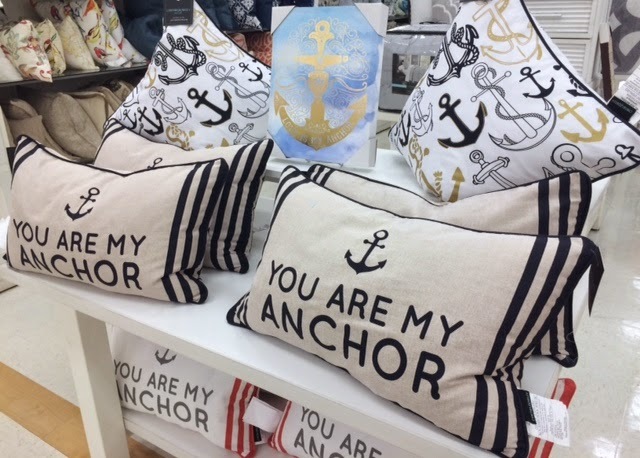 Oooh I am in love with everything nautical! I guess I'll be checking out my local Marshall's to see if they have anything similar! 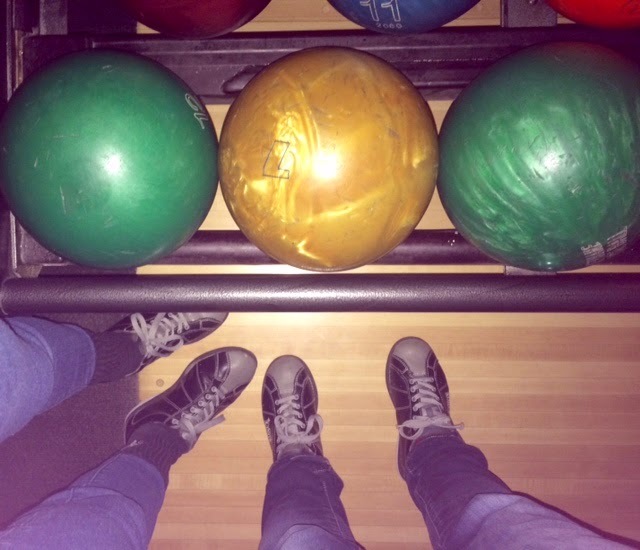 And yes- bowling, between the actual act and those shoes- is totally awkward! Friday sounds like my kind of night – sometimes you just cannot interrupt cocktails and laughter! The onion rings.. YUMM! !